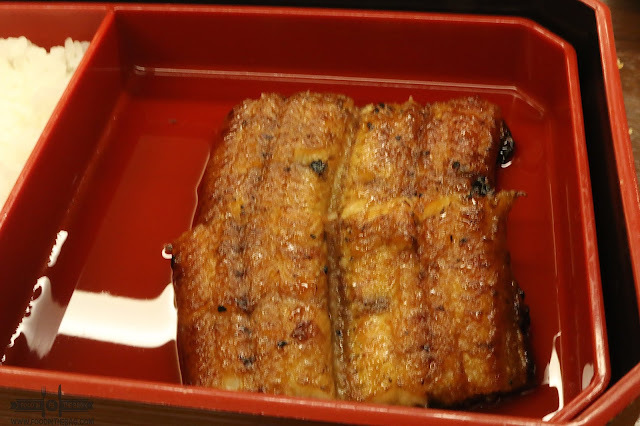 Have you ever tried eel? 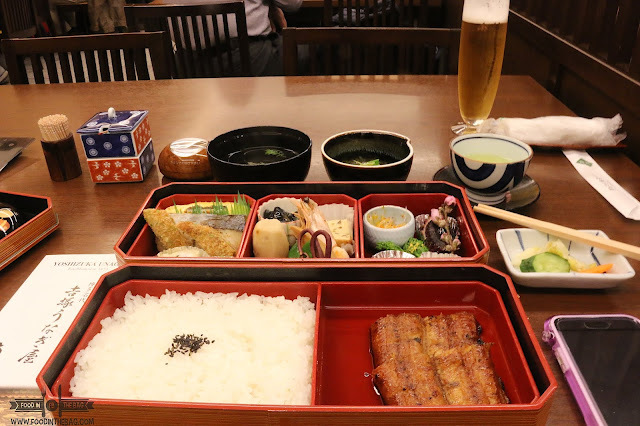 Unagi or freshwater eel is a delicacy that is usually present in Japanese restaurants. 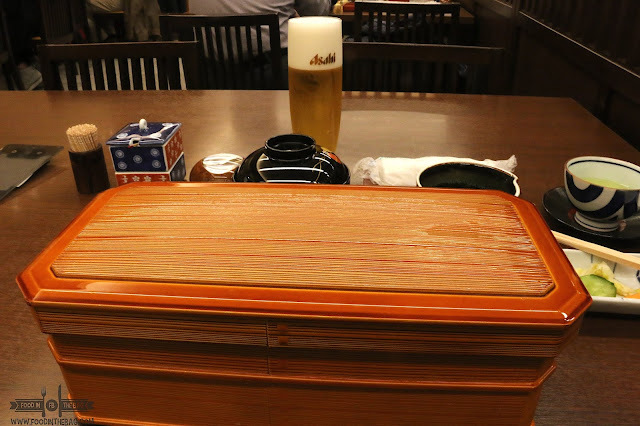 In FUKUOKA, there's a well known place that serves this as a specialty. 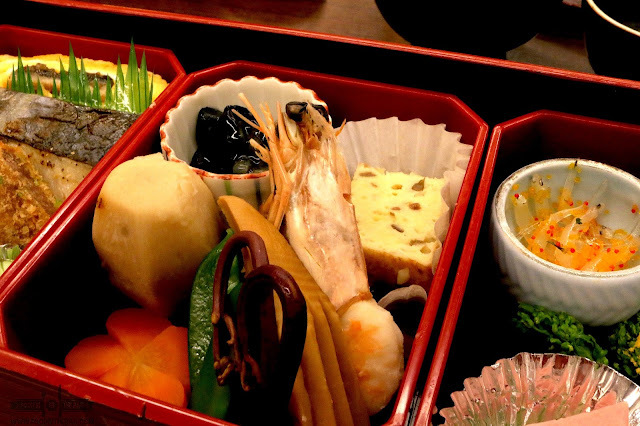 YOSHIZUKA UNAGI is a michellin starred restaurant that has these treats. Just along a river, a restaurant sits on a quiet part of town. 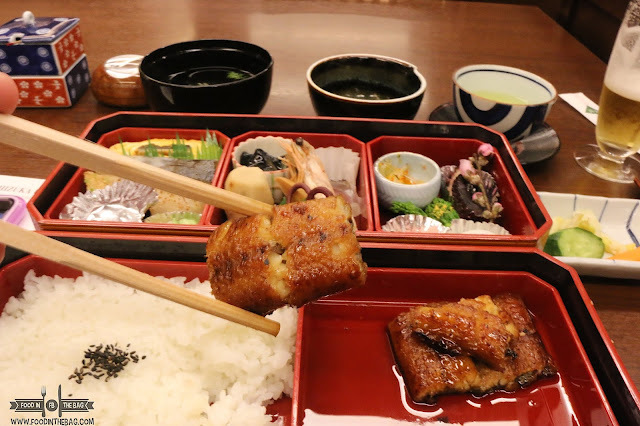 Usually closed every Wednesday, YOSHIZUKA UNAGI is a go to when celebrating special occasions or even for an eel fix. 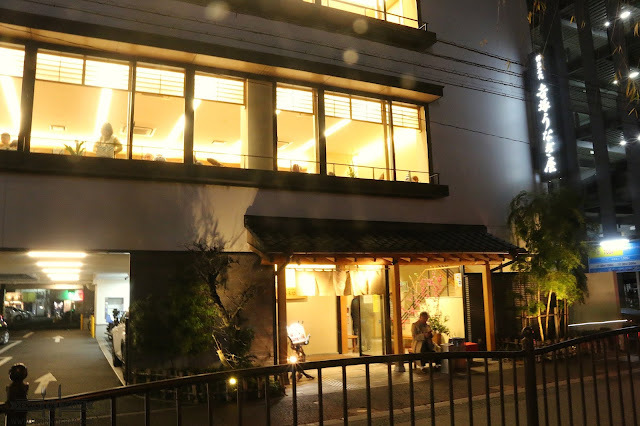 I was able to visit them at around 8pm and the place was full. Thankfully, the line was quick and that there are separate floors for every functions. Regular customers would usually take their spot on the second floor. Others have reserved rooms just for them. Thankfully, they have an English Menu so I was able to pick which dishes I wanted. 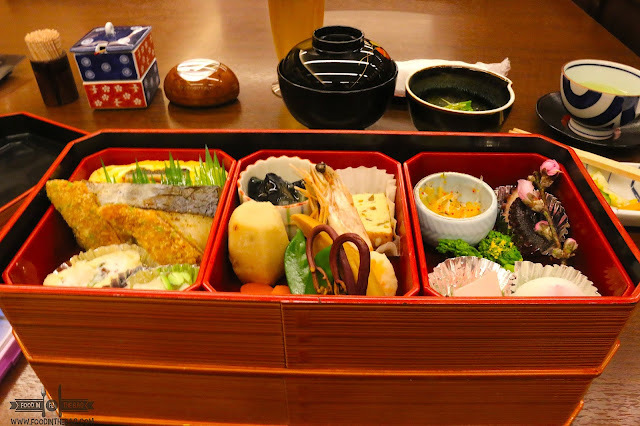 You could actually choose different items off the menu but if you wanted to taste a lot it would be better to go for a bento box serving. Since I was alone, this made sense. I went for the MAKUNOUCHI. 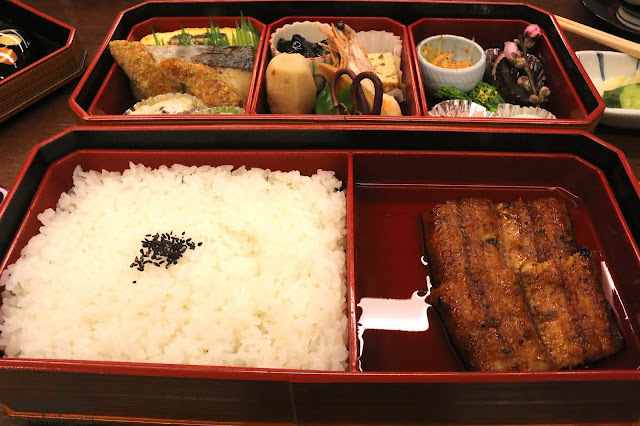 It's (2,883 Yen at the time) a combination of a number of small dishes with a couple slices of EEL. I first started off with their soup. 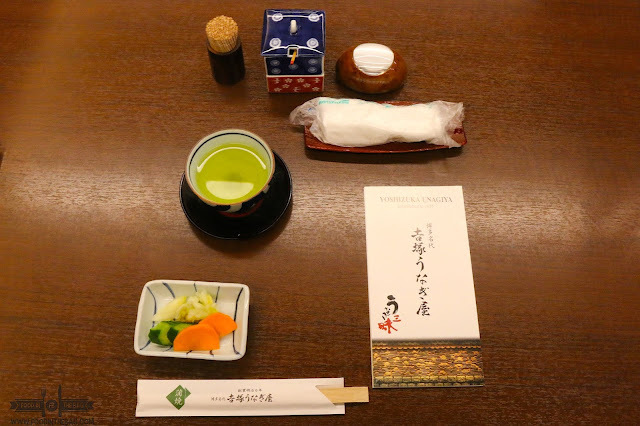 To be honest, I thought that it was MISO soup. It wasn't. 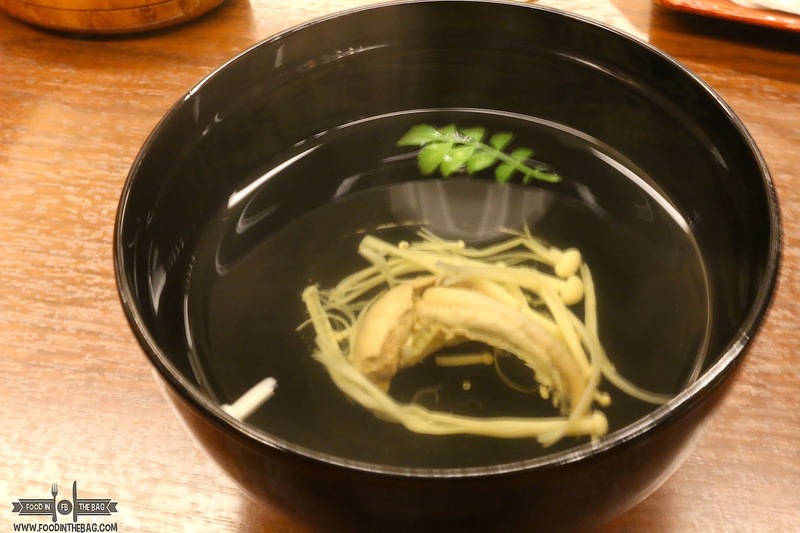 It's actually a clear broth soup with eel in it. Since it is an EEL specialty store, this was part of it. 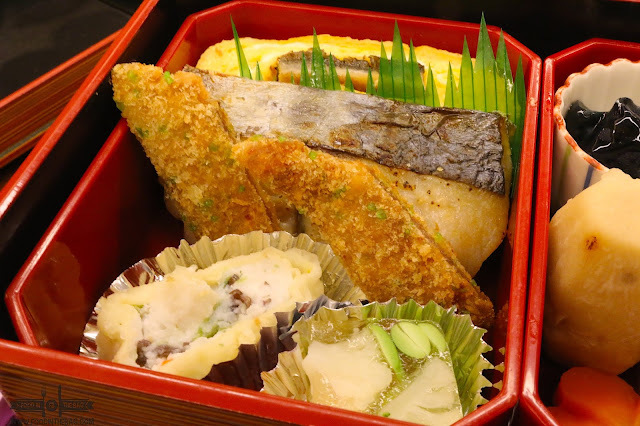 The MAKUNOUCHI had two layers. 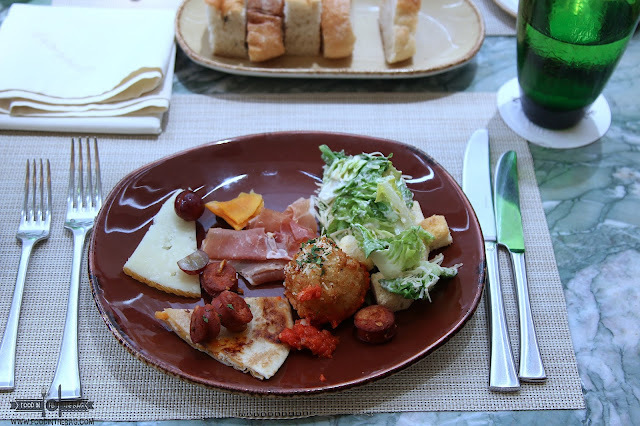 The first had different side dishes including sweets. The bottom has the main course. I was happy with the different small bites that came with the set. 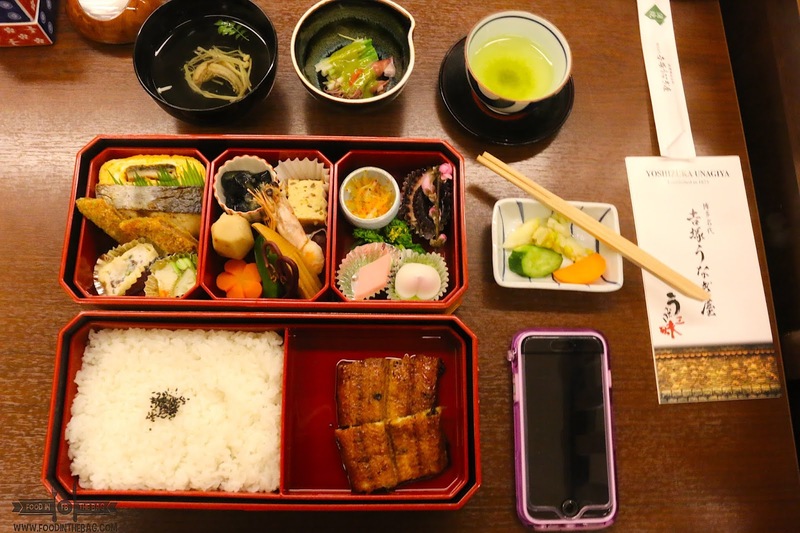 There's some vegetables, seafood, and even deep fried pork. I really thought I under ordered but looking back, I did just right. With the eel and the side dishes, I was definitely filled up. Speaking off, the eel was not overly sweet. Its meat was tender and perfectly cooked. 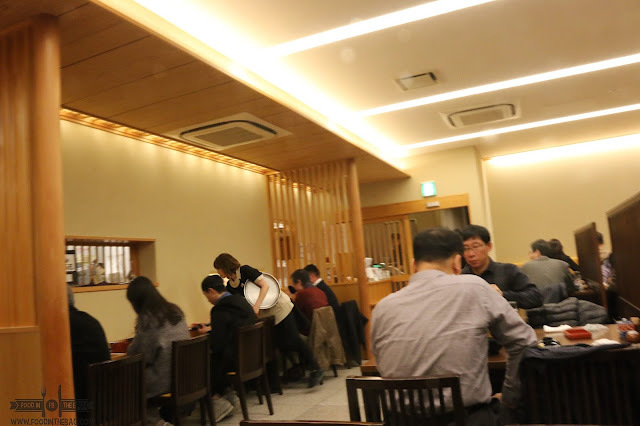 Granted that some of the side dishes could have been better, people go here for the eel. So, I was happy with what I had. Everything was perfect. I had a great time even if I was alone. I was able to munch and taste each individual flavors each part gave. The eel was just wonderful. If you're a large party, it would be better to make a reservation. Peak hours would always lead to a queue. Also, they are closed every Wednesday. I apologize for the image quality. and my shots weren't focused as much.